Scanning electron micrograph of conjugating spirogyra. Spirogyra is a genus of filamentous charophyte green algae in the family Zygnematales, named for the helical or spiral arrangement of the chloroplasts. Also known as water silk, mermaid's tresses, and blanket weed, it is commonly found in freshwater areas. Spirogyra measures approximately 10-100i m in width and may grow to several centimetres in length. 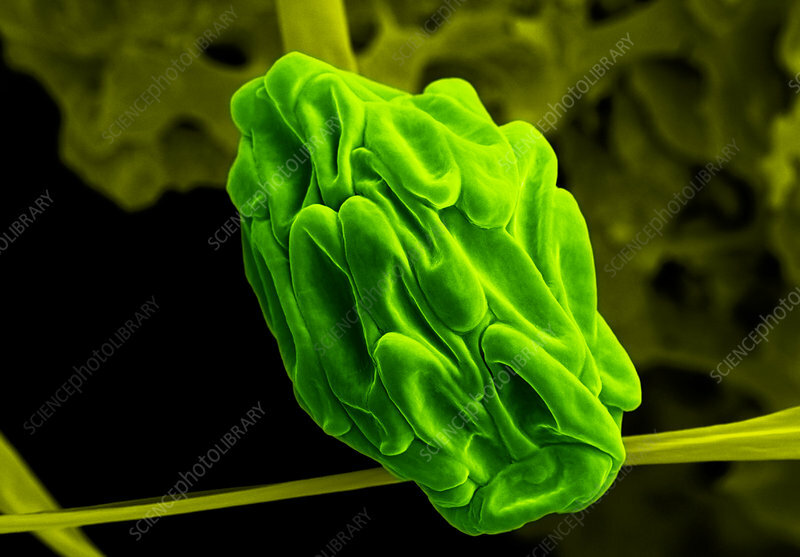 This image shows how Spirogyra conjugates, a form of sexual reproduction. Two filaments of Spirogyra form conjugation tubes. The contents of one cell pass through the tube and fuses with a cell from the other filament.